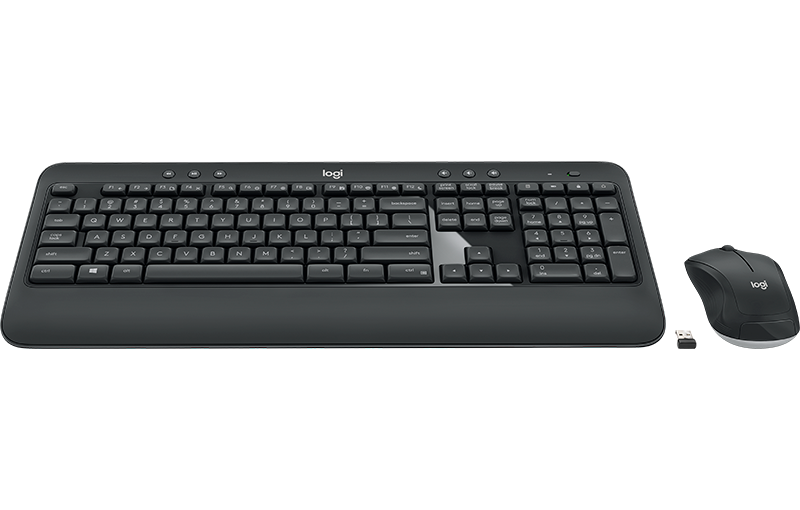 The MK540 Advanced is an instantly familiar wireless keyboard and mouse combo built for precision, comfort, and reliability. 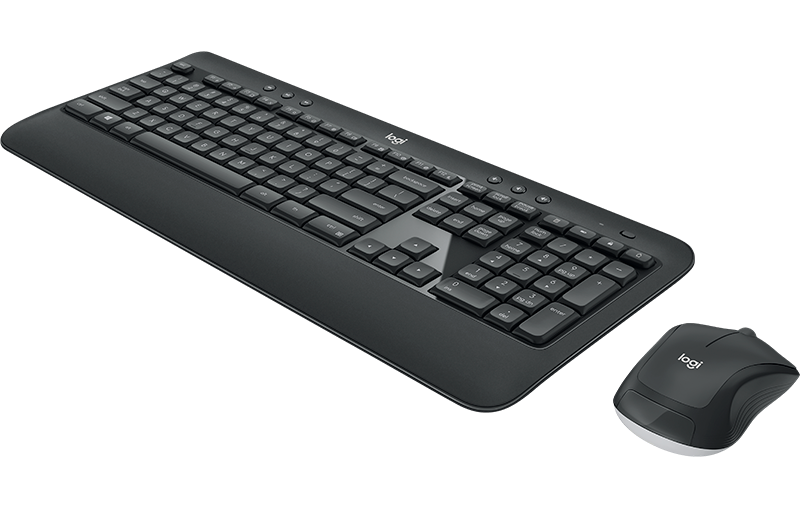 The full-size keyboard features a familiar key shape, size, and feeling – and the contoured and ambidextrous mouse has been designed to fit comfortably into either palm. 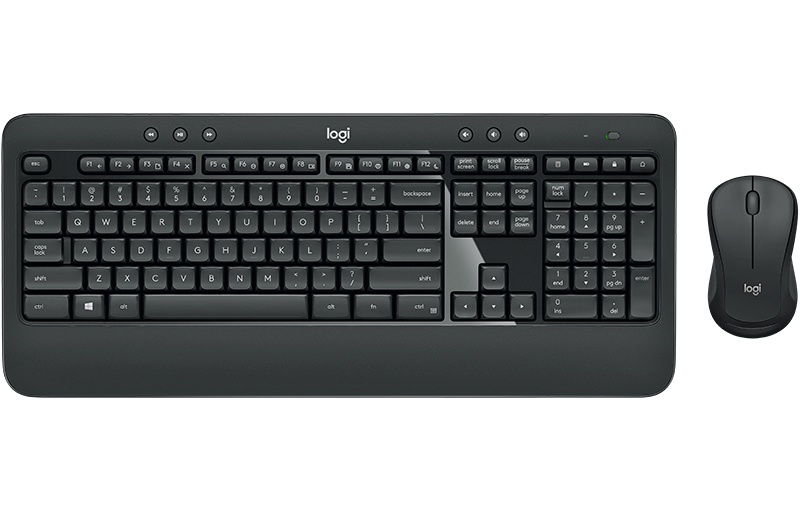 The keys have been optimized for improved accuracy and reduced noise – and your fingers will immediately feel at home on the familiar key surface and layout. 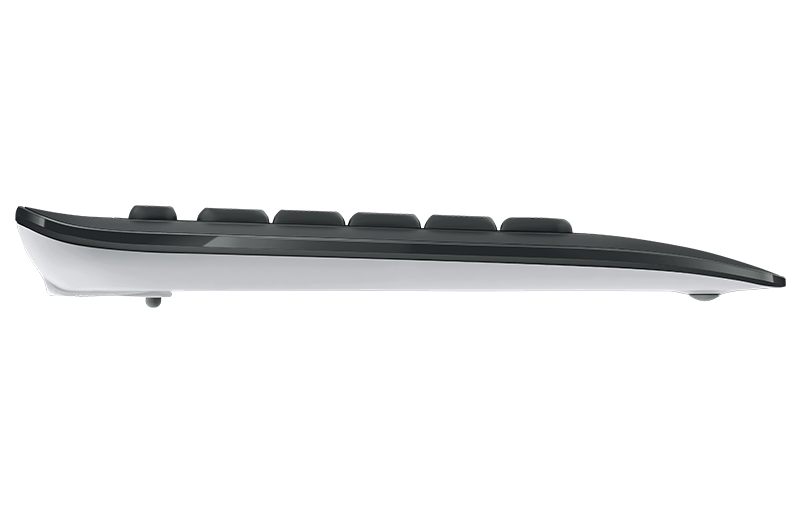 The palm rest and adjustable tilt legs keep you comfortable for long stretches at the desk. The wireless mouse’s contoured shape and soft rubber side grips are designed to fit comfortably in either your right or left palm – and enhanced tracking and precise cursor control keep you in command.